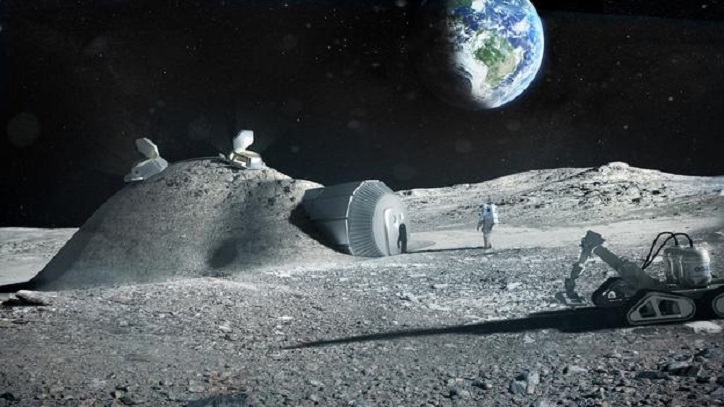 Scientists are exploring the idea of "moon villages" that can serve as a potential springboard for future human missions to Mars and potentially other deeper space missions. London: Villages on the Moon, constructed through cooperation between astronauts and robotic systems on the lunar surface, may become a reality as early as 2030, scientists say. Moon villages could serve as a potential springboard for future human missions to Mars and potentially other destinations, a team of scientists, engineers and industry experts said at the European Space Agency's (ESA) symposium "Moon 2020-2030 - A New Era of Coordinated Human and Robotic Exploration," held in the Netherlands. In order for that vision to become a reality, scientists must first determine if the resources on the Moon are as significant as we think they are, said Clive Neal, from the University of Notre Dame in US. "We keep talking about lunar resources, but we still need to demonstrate they can be used, (that) they are, in fact, reserves," he said. "So ground truth verification of deposit size, composition, form and homogeneity requires a coordinated prospecting programme as a first step," Mr Neal said. "The next step would demonstrate extraction techniques followed by refinement of the product into usable commodity. A successful programme would then clearly demonstrate that lunar resources can enable solar system exploration," he said. Mr Neal said the ESA meeting highlighted technology development in terms of precision landing, robotic sample return, and cryogenic sampling, caching, return and curation. Mr Neal's research explores the origin and evolution of the Moon, focusing on the petrology and geochemistry of returned samples coupled with geophysics and other remotely sensed datasets; geophysical instrumentation and investigations of the moon; formation of impact melts; and more basalt petrogenesis.